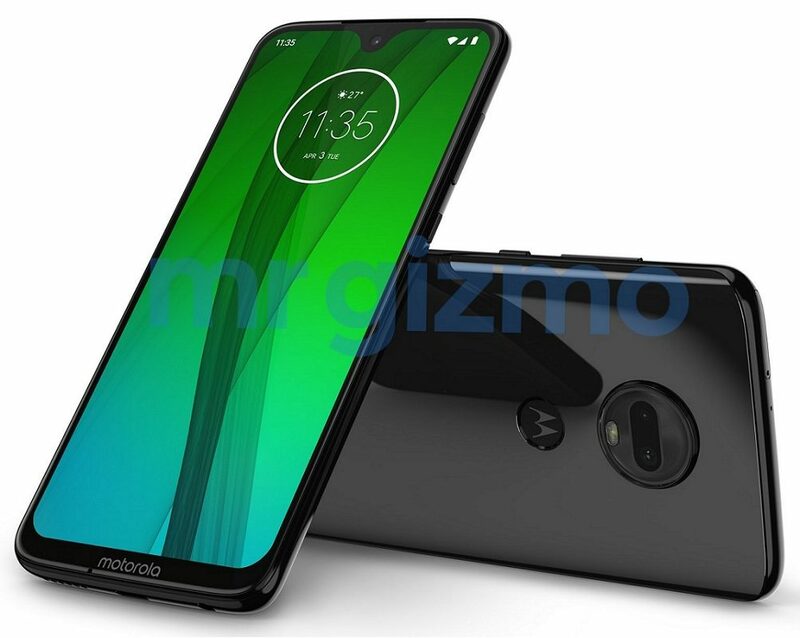 Motorola is working on Moto G7 Series which is expected to launch Now a Press render of Moto G7 has been leaked also Moto G7 was recently spotted on the FCC website. Moto G7 will sport a teardrop notch at the top, Dual Rear Camera with LED flash module, Motorola batwing logo with the fingerprint sensor embedded inside. Moto G7 might be the company’s first G-series smartphone to offer Qi wireless charging support. Moto G7 is rumored to feature a 6.0-inch Full HD+ display powered by octa-core Qualcomm Snapdragon 660 AIE processor coupled with 4GB of RAM and 64GB of storage. On Camera, it will feature a 16MP Rear camera and a 5MP secondary depth-sensing camera and 12MP front-facing camera packed by a 3500mAh capacity battery with fast charging support Moto G7 will be running Android 9 Pie out of the box. Moto G7 Series is expected to launch Soon.